The volcano formed some 70,000 years ago (around the same time as when the Indonesian volcano Toba erupted and almost killed humanity off). In the early 13th century, Constantinople built on the rock a fortress. Later the Venetians arrived, then the Turks… but that doesn’t matter. In the 14th century there were around 200 houses on the rock, with several thousand folks living in them. All was well – until the mid-17th century the whole area started to shake, then shook violently, and the whole town came crashing down into the water of the caldera. In 1207 it was built; in the mid-1800s there was nothing left. Only the pre-existing rock underneath remained, besides a few remnant ruins of the town. And nature didn’t blink once. Indifferent, disinterested, cold-hearted nature! 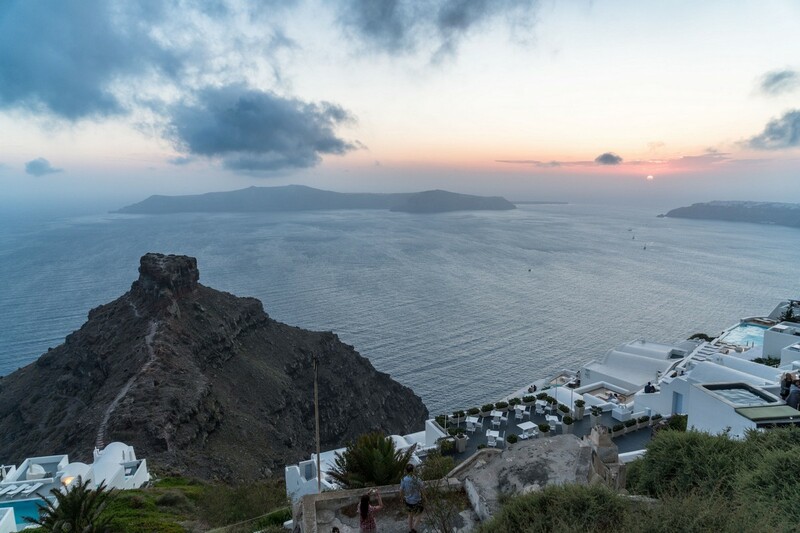 Actually, Santorini itself cheered me up too – just look at the place: serenely beautiful. Must-see. Or must-return, as is the case with me. And in the middle of the caldera – a new volcano is growing. 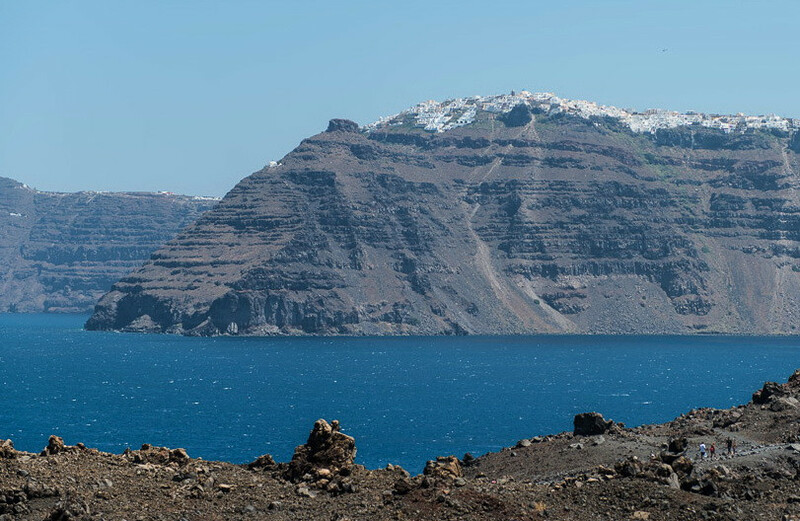 Btw, the caldera was formed after the Minoan eruption eons ago. 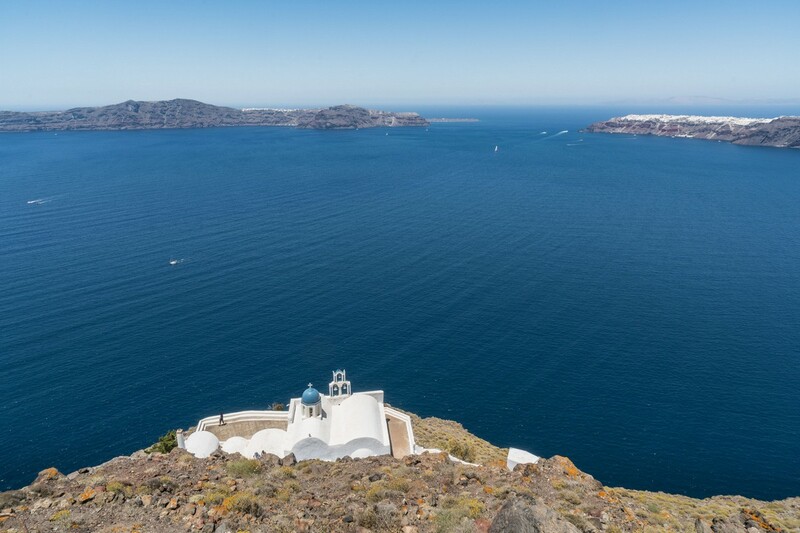 It devastated Santorini and the whole Minoan civilization that lived there. 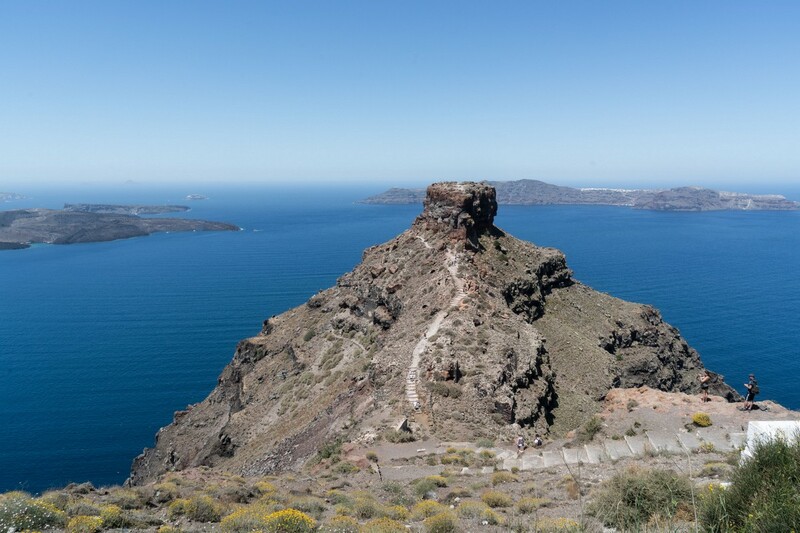 This baby volcano started to peep its nose out of the sea in the 1500s. It occasionally emits steam and – once or twice every century – even lava. And sooner or later it’s going to blow its top once again good and proper. Eek.